Happy September 1st! The start of a new month inspires me to start new habits. This month one of my personal goals is to grow my blog. 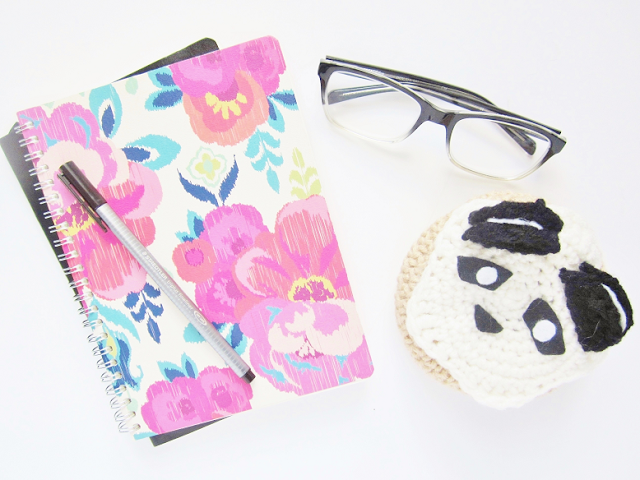 Today I am sharing 5 of the blog goals that I've set up to help improve my blog. If any of you are looking to expand your blog growth feel free to follow these goals as well. I'm guilty at reading multiple blogs but not commenting on most of them. It's a bad habit that I want to get rid of. Commenting seems like an effortless way to spread your blog around. However sometimes you simply forget to comment. As a blogger though, the feeling I get whenever someone comments on one of my posts makes me happy! So if I can make another blogger feel the same way then I'm all for it. For those who didn't know I have an Instagram but I rarely post on it. I've been trying to post more frequently though. I will never be one of those people who posts a picture everyday but I can try to at least post three pictures a day. I don't want all of my photos on my Instagram to be nothing but blog posts advertisements either so another challenge for me will be to post never-before-seen photos, personal photos of my life. The reason I don't post often on my Insta is that I feel like I have to have a cohesive theme within my feed. Seems silly but it's something that I worry about every time I post a picture, if it isn't bright or matches a previous post then I don't post it at all! When Pinterest first came out I was obsessed with it! However, over the years I have quickly lost interest. But after reading this post I think using Pinterest will be an advantage to help spread my blog around so I am willing to give it another chance. So if you have one, follow me on Pinterest. By active I mean comment, like and repost more on all social media platforms. I can be somewhat shy on social media, even if I see a post that I can relate with I will most likely not comment because I feel like the user will not care about my comment. However, some may actually care so I will try to get over my shyness and get my name out there. Every Friday I see many people on supporting each other via twitter, Not only is this a great way to get noticed by your favorite blogger but it's a chance to get your tweet retweeted and as a result more views and possibly some new followers. Feel free to leave your blog or twitter name below and I will check them out. Maybe I will feature you this Friday! Do you have any new goals for this month?